Your floors are meant to be lived on — which means spills and stains are going to happen, no matter how much you try to prevent them. You can always call 1-888-771-4109 All Kleen for help, but before you do, feel free to try the remedies below or check out our blog for other great tips. You might not need us just yet! The following solutions will come in handy for removing all kinds of stains. Detergent solution- Mix 1/4 teaspoon of a translucent liquid dishwashing detergent, such as Dawn or Joy, into 1 cup of lukewarm water. Low suds ammonia solution- Mix 1 cup low-suds ammonia with 1 cup lukewarm water. Note: "Low-suds ammonia" is a regular clear ammonia without any added detergent. Vinegar Solution- Mix 1 cup white vinegar with 2 cups water. Dry -cleaning solvent- A nonflammable spot removal liquid, any brand. This can be found in the laundry aisle. Follow the manufacturer's instructions for use. Detergent solution- Mix 1 teaspoon of a translucent liquid dishwashing detergent, such as Dawn or Joy, into 1 cup of lukewarm water. Low suds ammonia solution- Mix 1 tablespoon of clear low-suds ammonia with 1/2 cup lukewarm water. Vinegar Solution- Mix 1/4 cup white vinegar with 1/4 cups water. Blood: Remove excess with a blunt knife. Apply cool detergent solution and blot. If stain remains, apply a cool solution of low suds ammonia to water (1:10 ratio) and blot again. Rinse and blot dry. Chewing gum: Remove excess with a blunt knife. Apply cool detergent solution and blot. If stain remains, apply low-suds ammonia solution and follow with vinegar solution. Chocolate: Remove excess with a blunt knife. Apply cool detergent solution and blot. If stain remains, apply low-suds ammonia solution and follow with vinegar solution. Coffee or tea: Blot up the spill. Apply detergent solution and blot again. Follow with vinegar solution. Fruit juice: Blot up the spill. Apply detergent solution and blot again. If stain remains, apply low-suds ammonia solution and follow with vinegar solution. Rinse and blot dry. Glue: Remove excess with a blunt knife. Apply cool detergent solution and blot. If stain remains, apply low-suds ammonia solution and follow with vinegar solution. Gravy: Remove excess with a spoon. Apply cool detergent solution and blot. If stain remains, apply low-suds ammonia solution and follow with vinegar solution. Grease: Remove excess with a blunt knife. Apply dry-cleaning solvent and blot. If stain remains, apply low-suds ammonia solution and follow with vinegar solution. Rinse and blot dry. Ice cream: Remove excess on surface of carpet with a spoon. Apply detergent solution and blot. If stain remains, apply low-suds ammonia solution and follow with vinegar solution. Rinse and blot dry. Ketchup, tomato sauce: Remove excess with a blunt knife. Apply cool detergent solution and blot. If stain remains, apply low-suds ammonia solution and follow with vinegar solution. Lipstick: Remove excess with a blunt knife. Apply dry-cleaning solvent and blot. If stain remains, apply detergent solution and blot again. Apply low-suds ammonia solution and follow with vinegar solution. Rinse and blot dry. Milk: Blot up the spill. Apply cool detergent solution and blot. If stain remains, apply low-suds ammonia solution and follow with vinegar solution. Nail polish:Remove excess with a blunt knife. Cautiously blot repeatedly with nail-polish remover or a dry solvent. Blot dry and apply detergent solution. Apply low-suds ammonia solution and follow with vinegar solution. Rinse and blot dry. Oil: Remove excess with a blunt knife. Apply degreaser or dry-cleaning solvent and blot. Apply detergent solution, then rinse and blot dry. Paint (oil-based): Remove excess with a spoon. Apply dry-cleaning solvent and blot. If stain remains, apply detergent solution. Apply low-suds ammonia solution and follow with vinegar solution. Rinse and blot dry. Shoe polish: Remove excess with a blunt knife. Apply dry-cleaning solvent and blot. Apply detergent solution, rinse and blot dry. If stain remains, apply low-suds ammonia solution and follow with vinegar solution. Rinse and blot dry. Soft drinks: Blot up the spill. Apply detergent solution and blot again. If stain remains, apply low-suds ammonia solution and follow with vinegar solution. Rinse and blot dry. Urine: Blot up as much as possible. If still wet, apply detergent solution and blot again. If stain remains, apply low-suds ammonia solution and follow with vinegar solution. Rinse and blot dry. Vomit: Remove as much as possible from surface of carpet with a spoon. Apply low-suds ammonia solution and follow with vinegar solution. Rinse and blot dry. Wax: Remove excess with a blunt knife. Apply dry-cleaning solvent followed by detergent solution. Rinse and blot dry. For persistent wax residue on nylon carpet, place a white absorbent towel on area. Heat an iron to low and place it on the towel for 30 seconds to melt and absorb the wax. Move the towel and repeat as necessary until all color is absorbed into towel. BE CAREFUL! 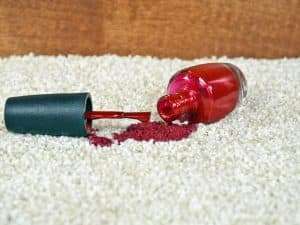 Do not overheat the carpet, as this can remove color from the carpet fibers. Wine: Blot up the spill. Apply cool detergent solution and blot again. If stain remains, apply low-suds ammonia solution and follow with vinegar solution. Rinse and blot dry. Service areas include: Lynnwood, Mountlake Terrace, Mill Creek, Edmonds, Mukilteo, Shoreline, Bothell, Kenmore, Seattle, Everett, Bellevue & Kirkland, Washington. Contact us today to learn more about Home Remedies Services.